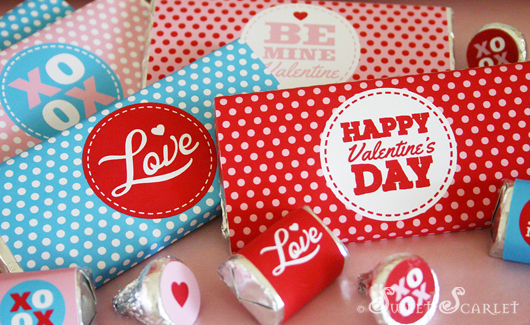 Valentine's Day, February 14 is almost here, and to celebrate I've designed this set of DIY Valentine's Printables. 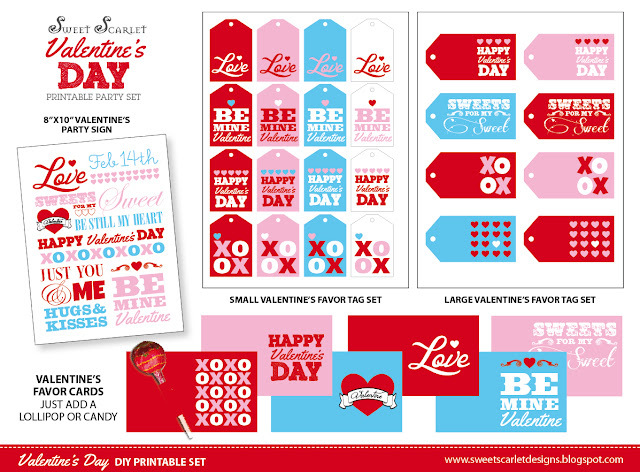 This set features a "Love" theme incorporating aqua blue with the traditional pink and red. 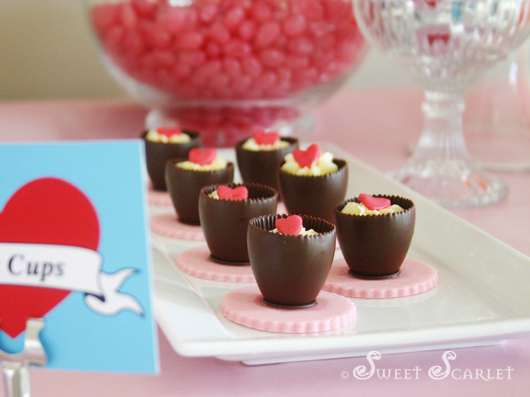 I'm really happy with how this set turned out – I hope you like it too. 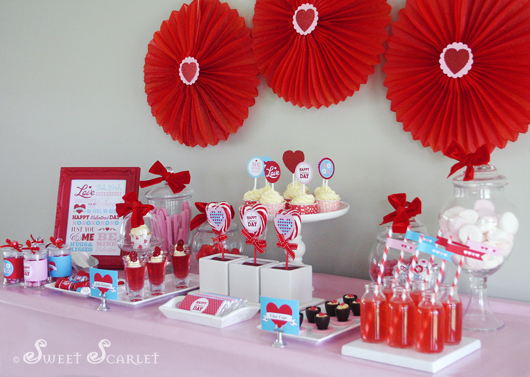 The dessert table I styled has loads of candy, dotted with the most beautiful red velvet ribbon as candy jar decorations. 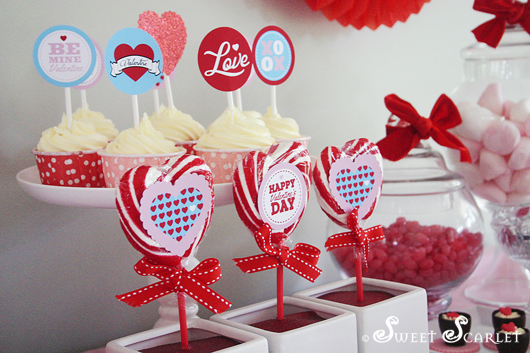 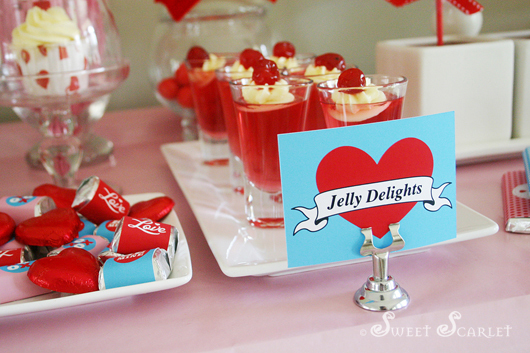 Vanilla cupcakes and traditional heart-shaped lollipops form the centrepiece of the table, surrounded by decadent Jelly Delights, teeny Choc Cups, wrapped chocolate bars and mini choc bites and watermelon cordial. 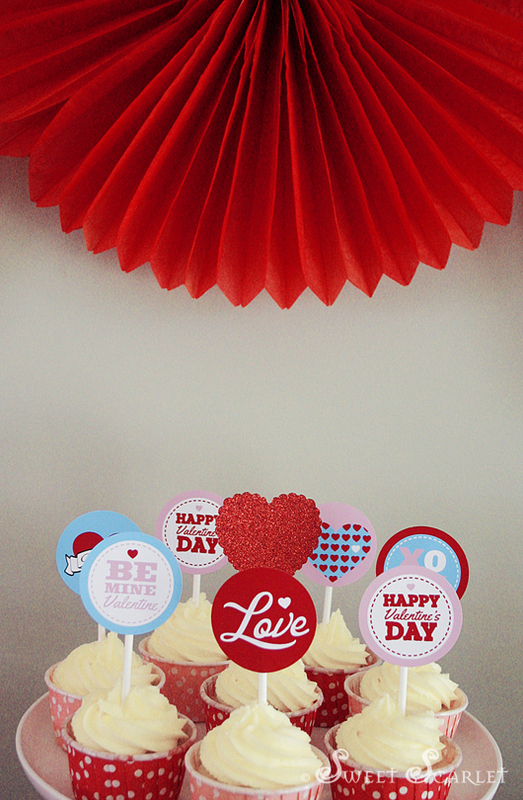 Red tissue daisies form the backdrop. 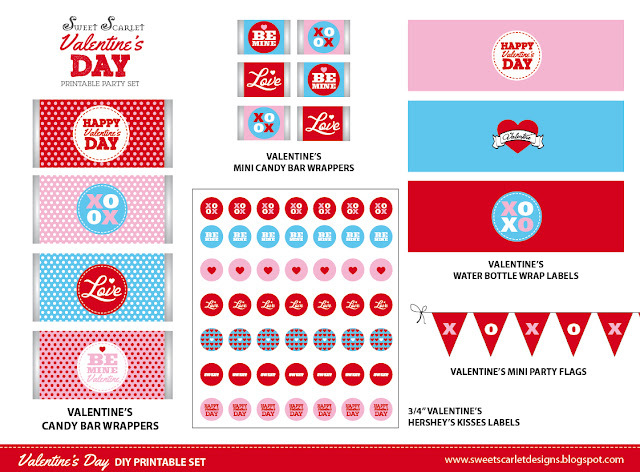 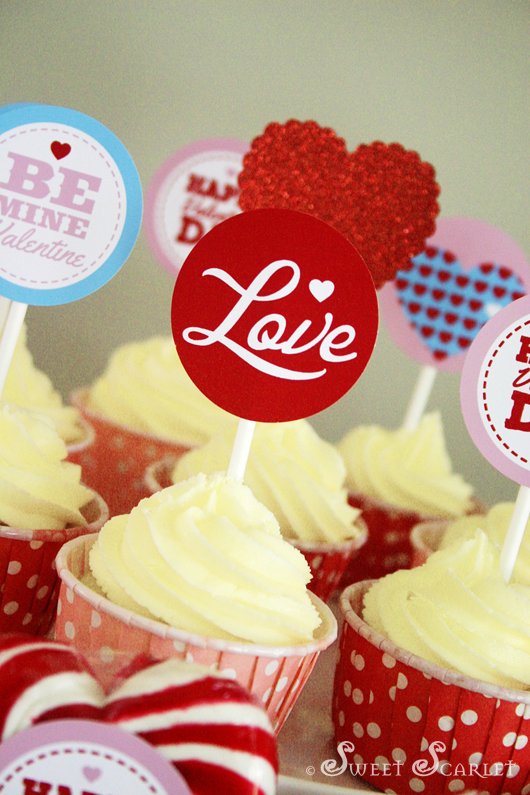 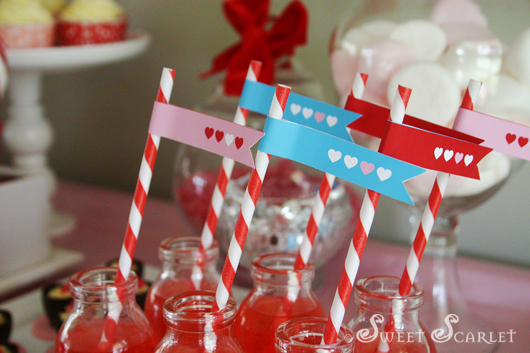 This set features loads and loads of tags, favor cards and editable straw flags which can all be used on your Valentine's favors for family, friends and at school. 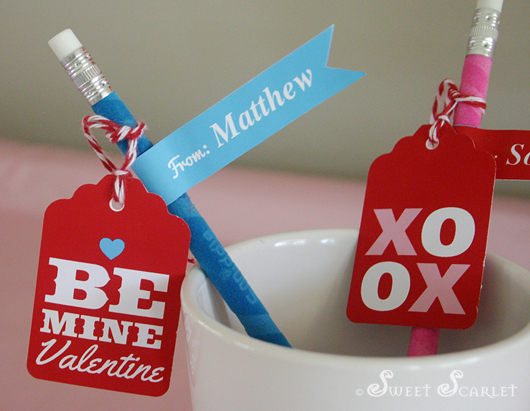 Just print, trim & create! 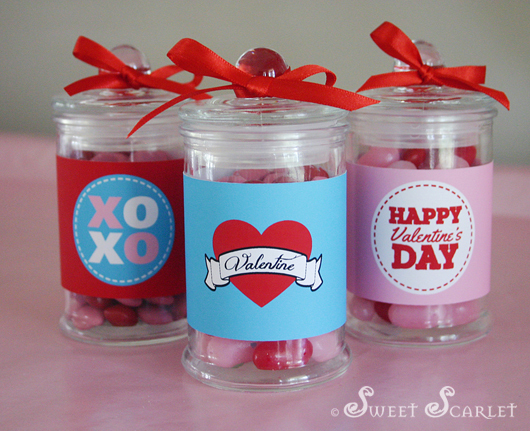 I'll have a Valentine's Day Favor blog post coming up soon. 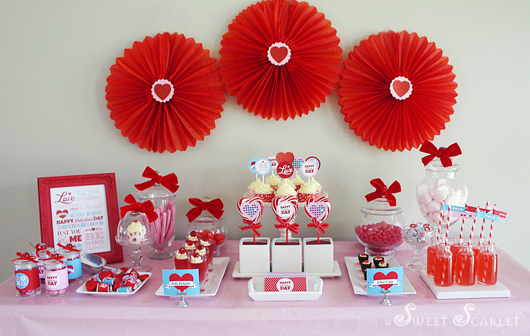 An 8"x10" Party Sign completes the scene and looks great on it's own too. 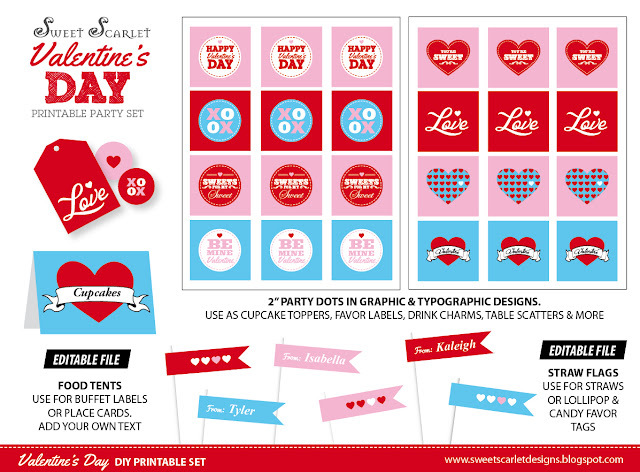 This COMPLETE printable set is now available in my Etsy shop. 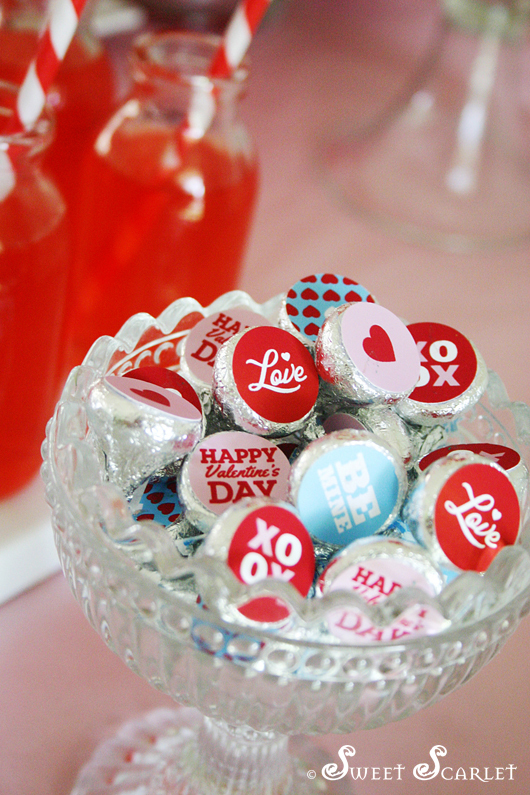 Smaller sets of TAGS, CANDY WRAPPERS and the PARTY SIGN are also available. 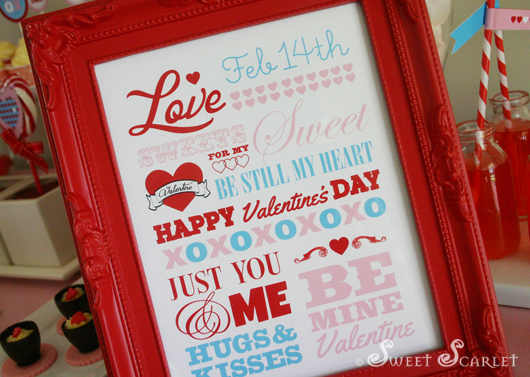 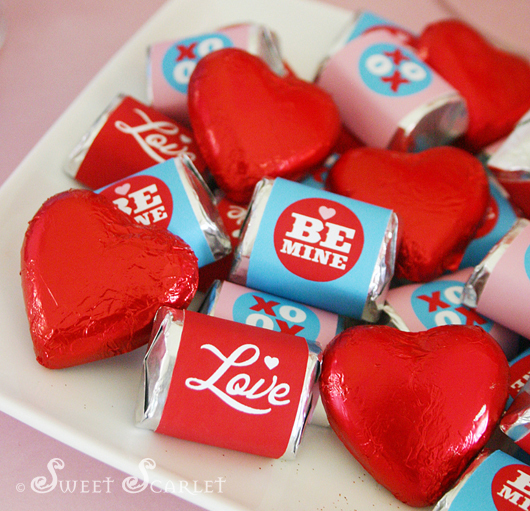 Valentine is a special event, and this is a nice style of celebrating.